To cook boiled eggs CORRECTLY and to EGGsacting standards, you really don't boil them; you only bring the water to a rolling boil. Initially, place them in a pot in one level, 4 to 8 at a time (do NOT put eggs on top of each other), with an inch of tap water above them. Before heating the water, let them warm at room temperature for 15 minutes in the water (can be warm but not hot) if they came out of the refrigerator. You can time that phase by clicking on Warm; that will start the timer for the appropriate time. Finally, after the time has elapsed (or longer), bring the water to a rolling boil on high heat. You will have to watch this stage due to various altitudes, the quantity of eggs in your cooking container and the sizes and volumes of various cooking containers... Then remove the heat, and cover the pan with a good lid; then select and click on the size eggs you are cooking. That turns on the timer to the default times shown below and in the alert timer field. Leave them in the water for that long. When you are alerted that the time has finished (visually in the message field, and by sound), remove the warm water and cover the eggs with cold water, or ice and chilled water. Start the timer again for cooling eggs via the same process. You can leave them longer but the timer is the minimum amount of time. Once that is done, you can gently crack the shell, peel the shell off and enjoy your eggs. This timer is for MEDIUM BOILED eggs. You can also use our timers for hard and soft boiled eggs. Also please see the cooking chart below. If you cook your eggs too long or too fast, a green colored coating forms around the yoke. It is from a heat reaction to sulfur in the whites and yoke. It is safe but will possibly impact the taste. 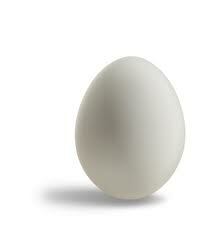 The source of information is the The American Egg Board (AEB), the site with egg EGGspertise. We also urge you to read and practice Egg Safety as published by the Egg Safety Center. You just can't be EGGcessive when it comes to egg safety. Here are some wonderful (EGGcellent actually...) egg recipes from Good Egg. These are a few more EGGciting egg sites of EGGlectic interest for you. The International Egg Commission, The Georgia Egg Commission, The Louisiana Egg Commission, Incredible (EGGsclusive home of the incredible edible egg), Egg Nutrition Center (ENC), The Deviled Eggs Gourmet, Hilary's Heavenly Eggs (from Eating Well), and finally, an EGGshaustive and EGGceptional group of "egg links" (EGGsclusive of sausage links) from PoultryHelp.com. Egg Size Time Required Avg. Ozs. Avg. Gms. Use the suggested and indicated warming, cooking and cooling times as a guide for the desired firmness for the yoke (yolk) of the various egg sizes. The egg whites will be firm. The timing begins once the pot of eggs is removed from the heat and covered with a lid.